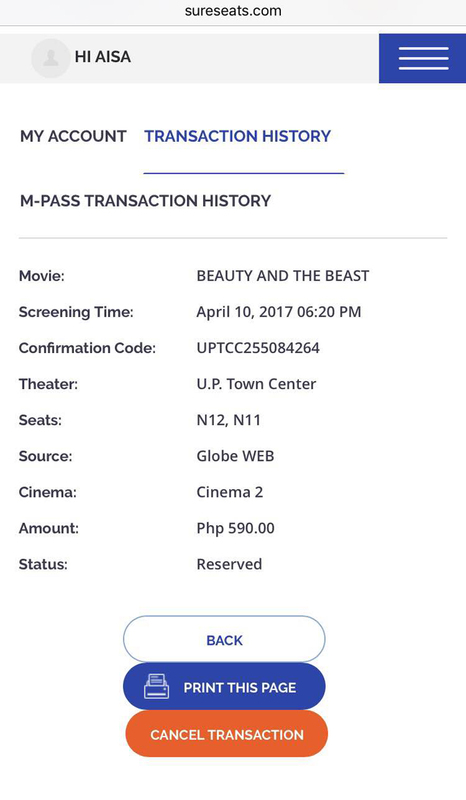 Got invited to the Beauty & the Beast exclusive screening last month c/o Sureseats and Ayala Cinemas, and it was truly unforgettable! 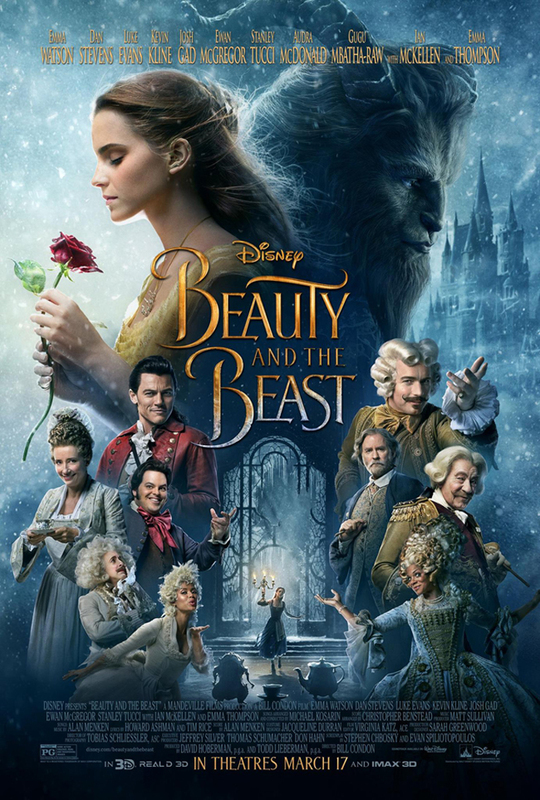 The film was amazing, we got to watch it in 4DX (it's like Rialto! 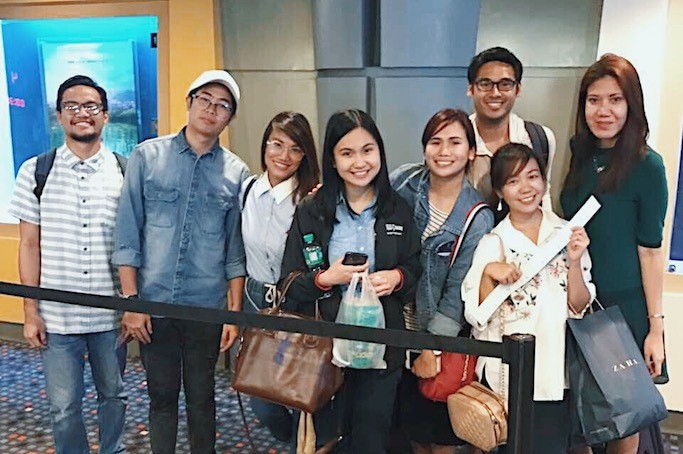 It's like you're part of the movie with effects pa!) 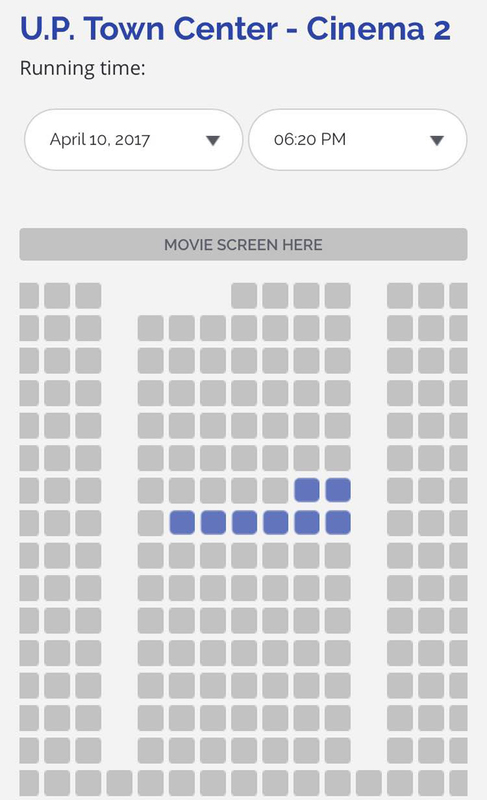 and we secured our seats using our phones through Sureseats.com. Registration was confusing at first but once you get the hang of it, it becomes a walk in the park. It's your fast lane to the movies. 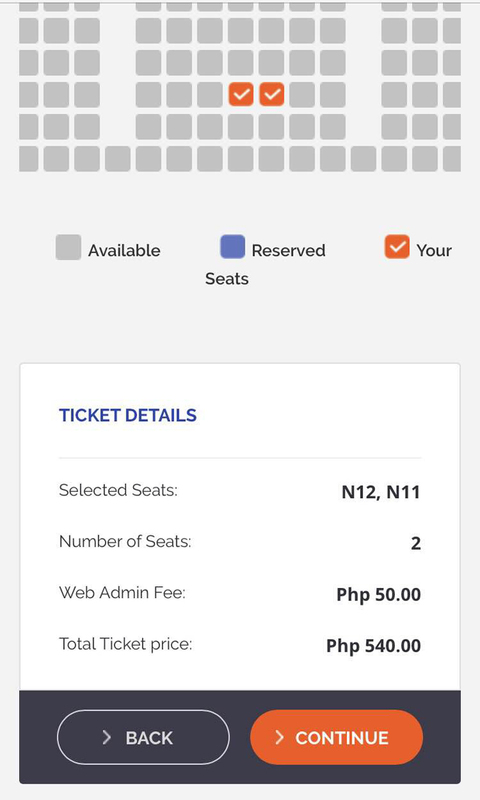 The SureSeats M-Pass moves you one step closer to a complete online ticketing service by letting you complete an actual purchase of movie tickets via the Internet. 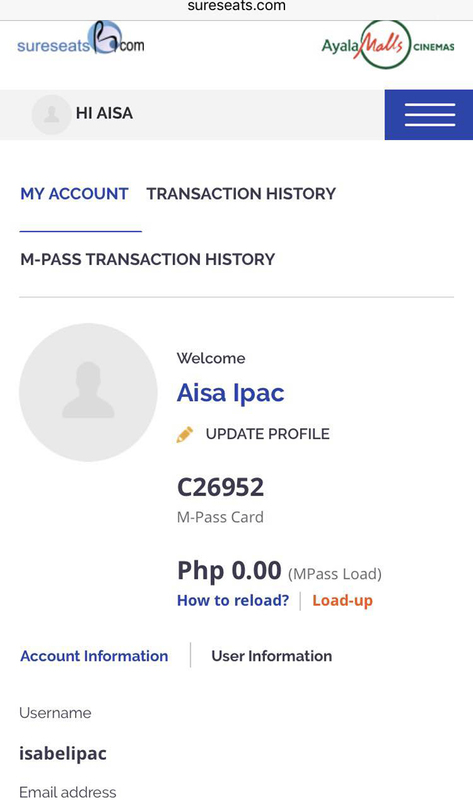 How to buy and activate the MPASS card? 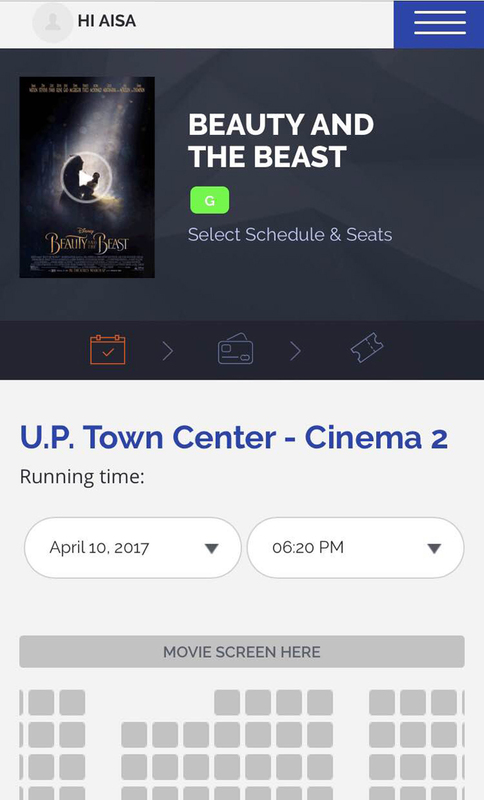 You may purchase the card and have it loaded from the SureSeats Counter/Customer Service in any Ayala Malls Cinemas. The denominations are of Php200.00 only so you can purchase a minimum load of Php200.00. 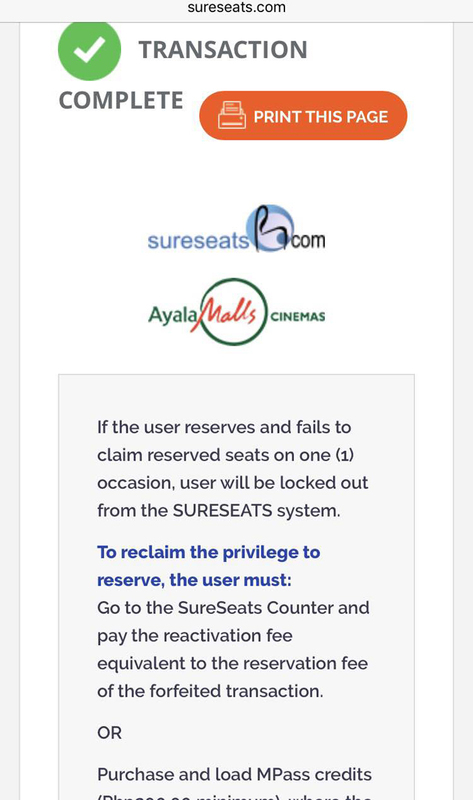 Our SureSeats customer representative will send the activation code to your registered mobile number within 10 minutes after registration, from 9am-7pm (Mon-Sun). However, activation code will be sent the following morning for registration done while our customer representative is offline. How do I purchase tickets once I'm registered? 8. You would see "Transaction Complete"! Print the page or screenshot. 9. 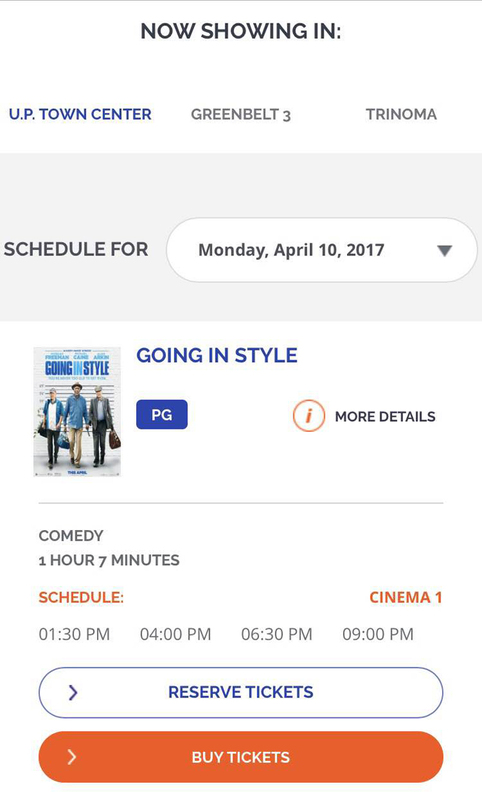 If you clicked BUY NOW and purchased tickets, just go straight to the cinemas and present your M-Pass card and printout of confirmation code. 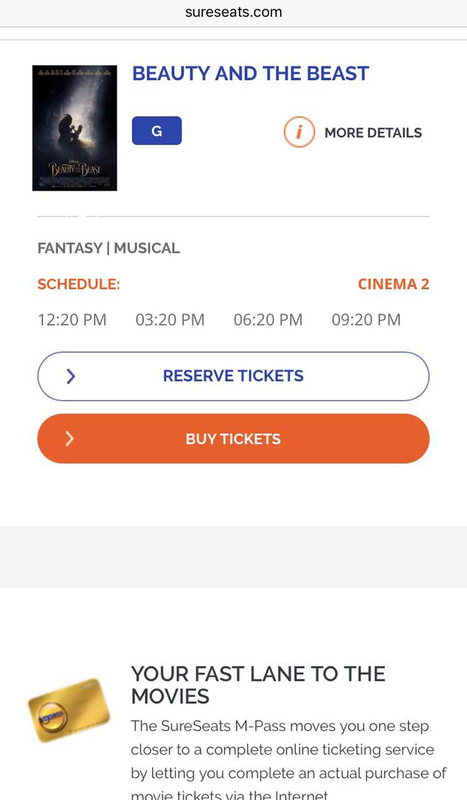 If you clicked RESERVE NOW, you should pick up your ticket at least 45 minutes before showtime or else the tickets would be released for sale. 10. 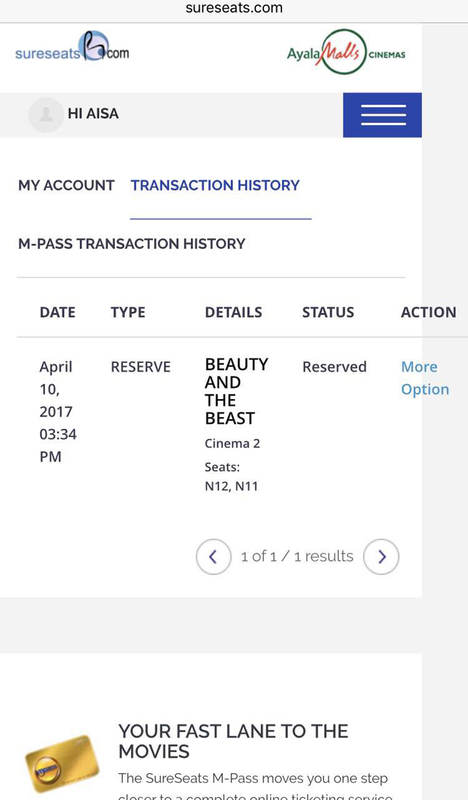 You would see your reservations under Transaction History. 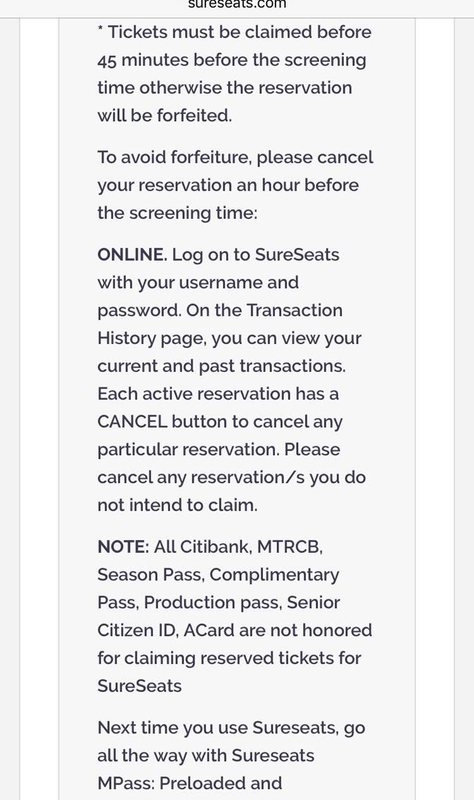 11. you may still cancel online-purchased tickets but you must do so at least ONE HOUR before screening time. 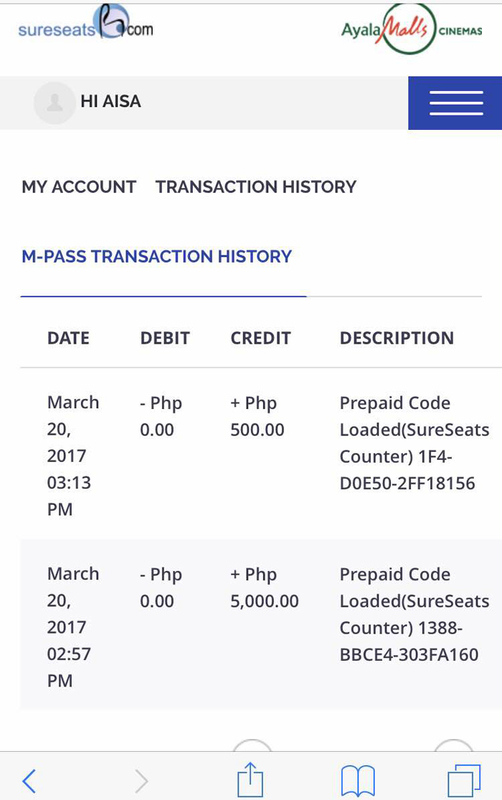 The amount will be credited back to your account.